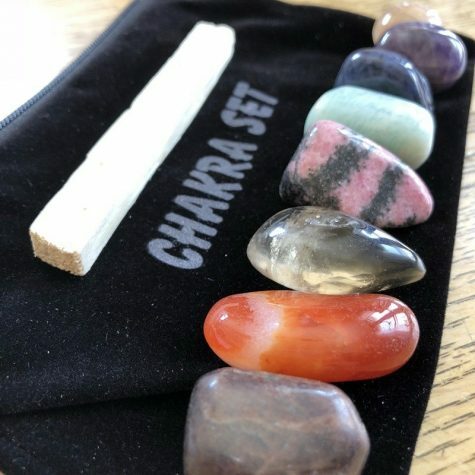 Balance your chakra's and keep your energy aligned and clear! 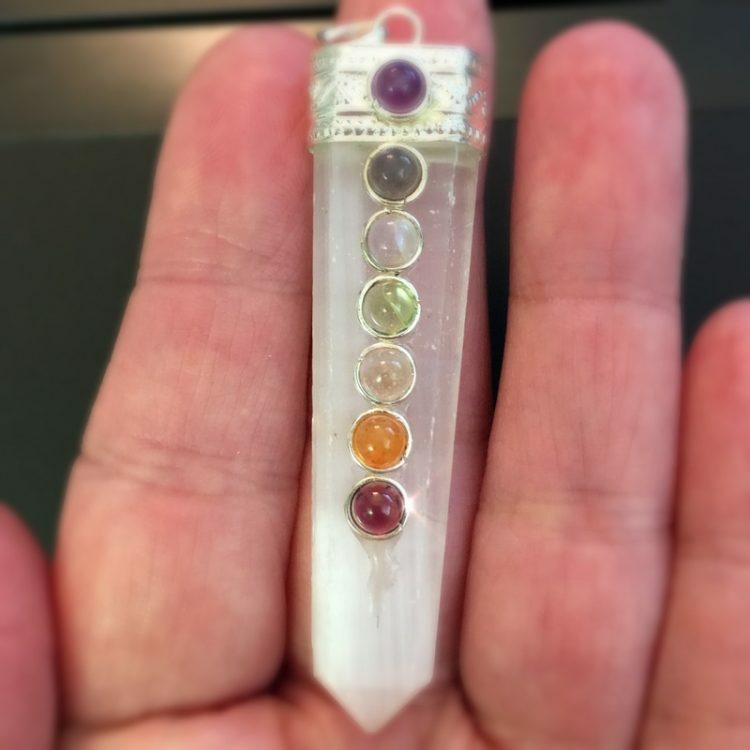 These beautiful Selenite Chakra Pendants are a great addition to your jewelry collection. Selenite is a soft stone, making it challenging to polish into jewelry. But we finally found pieces we LOVE and you will too. Selenite is all about clarity and being filled with LIGHT. It aligns our energy with the Divine, as well as our own inner sparkle/core light. It is a self-clearing stone, meaning it never needs to be cleared AND keeps other stones clear as well. 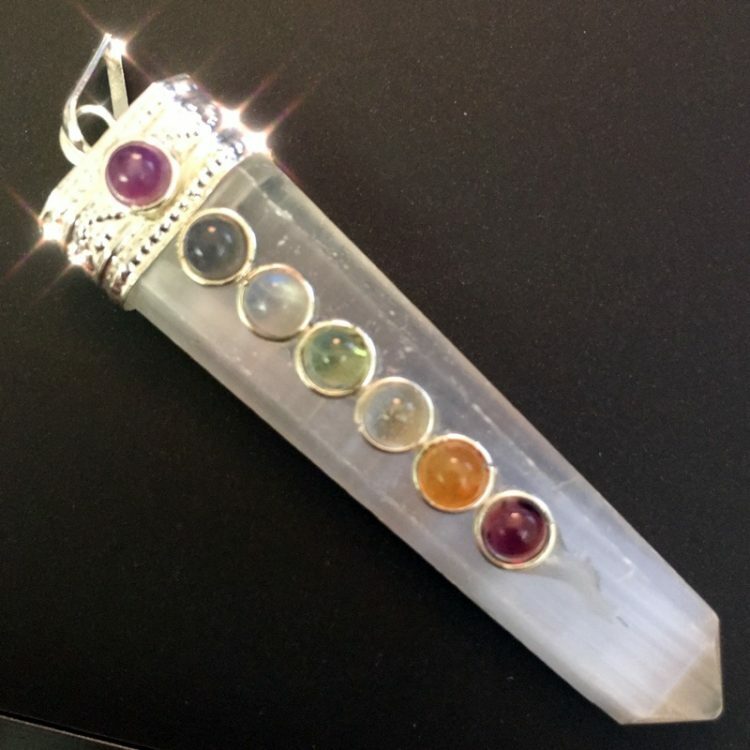 In this jewelry form, it will keep YOU and your chakra's clear. Pendant is 2 1/4″ – 2 1/2″ in length. Because it is a soft, fragile stone, natural imperfections are common. It is easily scratched, so wear and store with care.